Well everyone, we've finally made it to Friday, way to go lol! It was an awesome week to "pretty much" wrap up March. We had many new canines try The Fort on for size this week, and lucky for us and them, they all passed their assessments. We end this week on a high note, with two successful new comers, Miguel and Slevin. 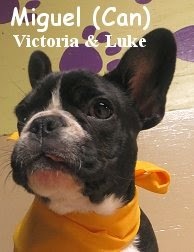 Miguel is an adorable, four month old, eleven pound, brindle, black and white colored, French Bulldog. She hung out with us in our Little Roll play area. Up there, Miguel was jubilant, and super eager to meet the other canines. She was constantly on the move, getting to know one pack member after another. 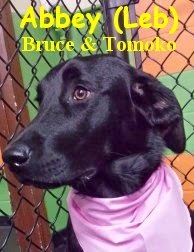 Miguel is a fun pup that just wants to play and be happy... Knowing that, she'll continue to do great here! 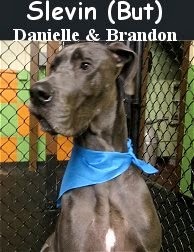 Slevin is a three year old, one hundred and twenty-eight pound, "blue" and white colored, Great Dane. Slevin wasn't quite sure what to make of the Big Roll at first. As time passed and more dogs arrived, he started to really open up to the experience. He met with dogs favorably, then relaxed enough to engage in play with several of them, including, you guessed it, another Great Dane, Theodore. It was exciting to see the two massive canines interacting so well, and having a blast. Miguel and Slevin are two great dogs, capping off our assessment-filled week. We hear that we'll be meeting up with them again real soon. Enjoy your weekend, stay dry! P.S. Unfortunately, we didn't capture any clips of Miguel this time around. We did however, get a glimpse of Slevin on the camera. Errr... I mean, The Fort! Get a load of buckaroos Gus and Hank. These two merry "brothers", had the most comical entrance into the Big Roll play area, that I've seen in some time... They were both so happy and excited to be here, you would have thought they'd been here for fun, many times before. 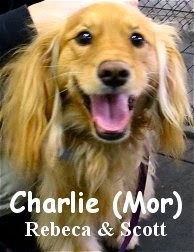 Their extremely cheerful personalities were a joy to see in the early morning, especially for a new-dog-assessments. 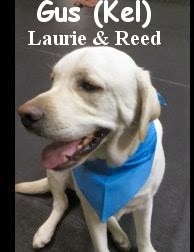 Gus is a two year old, seventy-eight pound, Yellow Labrador Retriever. 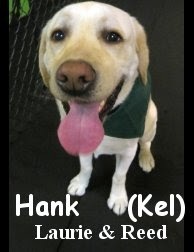 Hank is a four year old, seventy-eight pound, Yellow Labrador Retriever. Luckily, telling the two apart isn't hard... The more "mature", Hank, has a golden color on him, while Gus does not. Personality wise, Gus and Hank are quite similar, with Gus being slightly more active. Both Gus and Hank are very gregarious. They're your "outgoing" type of canines, that just want to find their niche within the pack, and have a good time. Gus and Hank interacted with numerous dogs, seemingly into any that would take them on. We are pleased with Gus and Hank's social skills, they are welcome to drop into Fort Fido anytime they'd like. In the clips that follow, Gus and Hank, mix it up in the Big Roll with fast-players Odin, Samwise, and Gertrude. This morning we assessed the older "twin sister" of new pup Gertrude... Say hello to Alice! 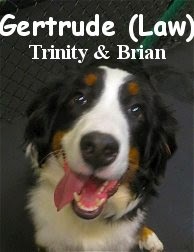 She is a mature, four year old, sixty-seven pound, Bernese Mountain Dog. Alice is a very sweet and good looking canine. She entered into The Fort's Big Roll play area with ease, and quickly became comfortable with her new surroundings. Alice pranced around and socialized with an array of different pack members. She played a little bit, but hardly any, when compared to her high-energy little-pup-sis, Gertrude. 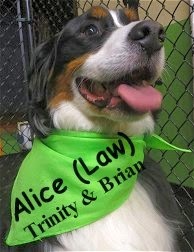 Alice is a beautiful "Berner" that was a pleasure to have in here today. 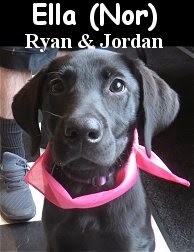 We look forward to seeing her again, and, the return of this"dynamic duo". Get to know a bit about Sam... He is a five year old, seventy-three pound, brindle, brown/black/white colored Mixed Breed, that had his assessment this morning. Sam stayed in Fort Fido's Big Roll play area. 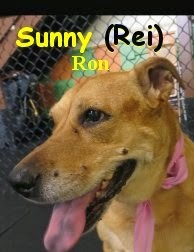 There, he did very well with the pack, wagging his tail, while happily greeting each dog that arrived. In the past, Sam attended a Dog Daycare up North as a regular, so it was no surprise to us, when he fit into the group easily. A cheerful canine, Sam, continued to enjoy his first visit to The Fort, throughout the duration of his four hour stay. He played hard and fast with several different dogs, which was exciting to see. Awesome job today Sam! We shall run into you again soon. Here's two little clips of Sam having a blast with Theodore and Marty. Today we assessed Zoey. 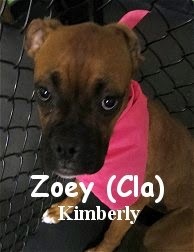 She is a five month old, thirty-five pound, Boxer. Zoey stayed in The Fort's Medium Roll where she thrived. 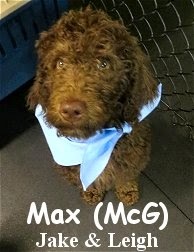 This young Dog Daycare regular, is already quite social, and adept at canine communication. Zoey is a very sweet dog, that fit in well with the pack. 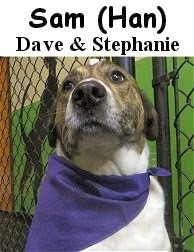 She played with a few different Fort Fido members, with Georgie and Jack, becoming her favorites. Well done today Zoey, you may visit whenever you'd like. 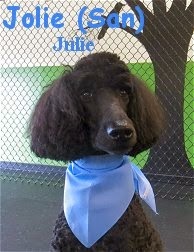 Jolie is a striking, six year old, fifty pound, black colored, Standard Poodle. Now Jolie was a bit shy at first, yet she warmed up after a bit of time. She didn't interact as much as Bella, however she did meet and greet with several different dogs in the Medium Roll. 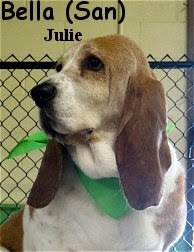 We hope to see Jolie branch out some more in future visits. She is a very good looking dog that'll be great to have around. We are happy to have both Bell and Jolie joining our pack at The Fort, nice job gals! Today was Teddy's assessment day. 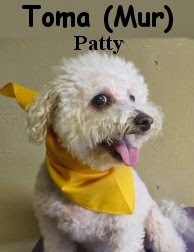 He is a friendly, two year old, seven pound, white, grey, and brown colored, Shih Tzu/Miniature Poodle Mix. Teddy entered Fort Fido with wonder and courage. 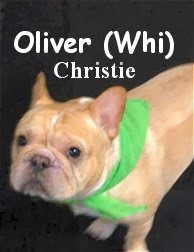 He marched upstairs to the Little Roll, where he met with Gibson and Seamus right away. Teddy speaks quite good "DOG". That skill, gave him the ability to fit into our pack quickly and easily, which he certainly did. Teddy mostly just hung out with the play group and enjoyed himself. Teddy's gleeful-tail wagged often, as he mingled with the other canines. He chased a few toys around, and generally had a fun time. We are thrilled to know that Teddy will be back into The Fort soon... It looks as though he'll be giving our Overnight Boarding a go. Although we weren't able to catch Teddy in any major "one on one play", you can spot him towards the end of this little "cross-section" clip. Today we assessed Kate. She is a very social, four year old, eighty pound, German Shepherd. Kate entered into Fort Fido raring to go. She stepped into the Big Roll, as the first entry of the morning, full of excitement and curiosity. As dogs arrived, Kate greeted them in a smart and friendly fashion. The pack continued to grow throughout the morning, while Kate continued to be happy and content in her surroundings. 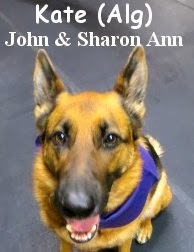 This German Shepherd gal, has definitely socialized and played with other canines many times before. She was a pleasure to have in here today. Kate, we're glad you had a great time in here, and we hope to see you again soon. Here is a cool little clip of Kate in action with Fort regulars, Brix and Theodore. This morning we assessed Smokey. He is a kind, one year old, one hundred and thirty pound, white, black, and tan colored, German Shepherd/Husky Mix. Smokey was instantly curious upon arriving at The Fort. He ventured into the Big roll, where he began his jaunt, sniffing around a lot, and wagging his tail joyfully. It was as if he knew, he would be in for a good morning. We introduced Smokey to several different pack members, and he greeted them in a very healthy and calm manner. He was adept at canine communication, seemingly happy to greet any dog interested in him. Given his personality, it is clear that Smokey goes to the Steilacoom Dog Park to socialize on a regular basis. Although he didn't do much "play" in the classical sense, Smokey moved about the Big Roll at a steady pace, with what appeared to be a smile on his face. He has a bit of an "Alpha Presence", and is a jolly, yet regal, fella. 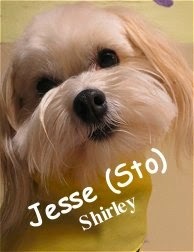 It will be neat if he decides to play, however he's getting a lot out of Dog Daycare with his current actions. 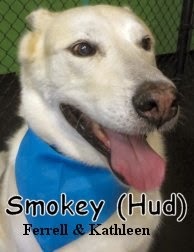 We are happy to have Smokey at Fort Fido anytime. 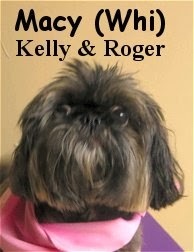 Macy strolled into The Fort this morning, ready for her assessment. 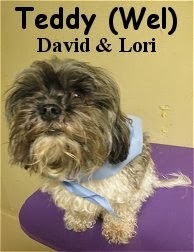 She is a sweet, eleven year old, fourteen pound, grey/white/cream colored, Shih Tzu. Macy is a very nice dog, and you would never guess that she is a "tender", eleven years of age, this gal's still got it goin on... Keeping up with several dogs less than half her age! She more or less stayed in the middle of the Little Roll, greeting the days's pack members as they arrived. Macy is very fluent in "Dog Speak", she exhibited good bite control while correcting puppies, excellent "rear sniffing" or "meeting practices", and, showed off welcoming play-bows. 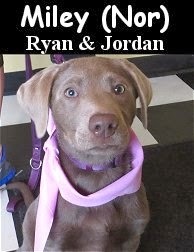 We are pretty sure she is going to begin to play more as she grows even more comfortable here at Fort Fido. First-rate job today Miss Macy! It looks like we'll see you in a few days. P.S. Yesterday we also had a new recruit. Unfortunately, we were unable to get a photo of him in time for a blog post. 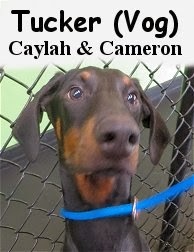 Tomorrow, I'll tell y'all about him, he is a really cool-canine and his name is Tucker. Yesterday morning, we met up with Bijou for her assessment. 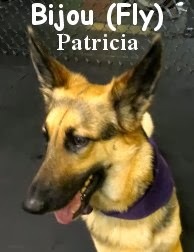 She is a gorgeous, two year old, sixty-four pound, standard, black and tan colored, German Shepherd. Like the majority of German Shepherds that attend Fort Fido, Bijou, visited with us in the Big Roll. She wasn't quite sure what to make of the place at first.... She was a bit hesitant, and sort of just sat back, slowly taking in her new surroundings. As the pack grew, Bijou branched out a little bit by, walking around, sniffing others, and meeting most of the group. Bijou is a very beautiful German Shepherd. She is a Rescue Dog, and knowing about her past ahead of time, helped us understand Bijou's weariness of new experiences. Lucky for Bijou, she has scored herself an outstanding new home and owner. We believe, given time and consistency, that Bijou will begin to branch out even more here at The Fort. Hopefully she'll really "let her hair down" and have some fun playing with the others. If not, that is ok, because for now she is content just being amongst the pack. Bijou is welcome to hangout with us any time she'd like, and it looks like we'll be seeing her soon.